Two great books launched last Friday at UNESCO Child and Family Research Centre, ILAS called ‘Child to Parent Violence and Abuse – Family Interventions with Non Violent Resistance’ by Dr Declan Coogan and ‘Gas, oil and the Irish state: Understanding the dynamics and conflicts of hydrocarbon management’ by Dr Amanda Slevin. 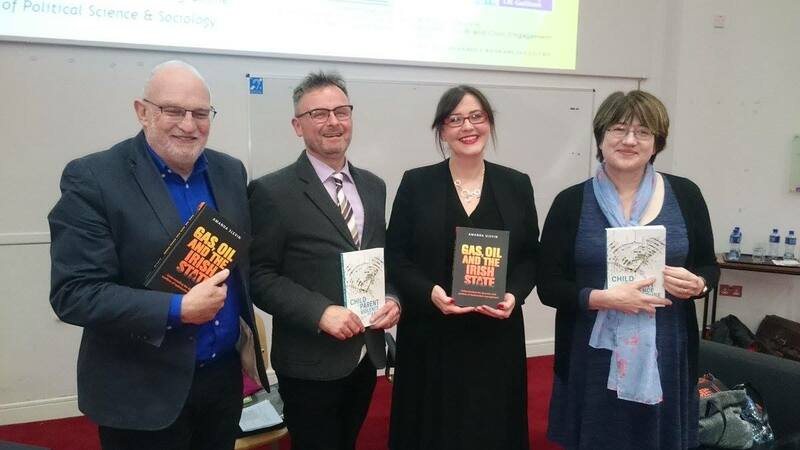 Congratulations to the authors and big thanks to Prof. Pat Dolan and Prof. Niamh Reilly for a great event. By rcpvconference in Uncategorized on 25/01/2018 .